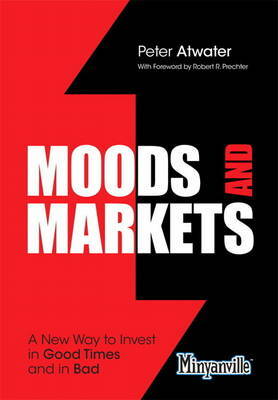 Leading consultant and Minyanville contributor Peter Atwater has helped institutional investors, corporations and policymakers map changing social moods to emerging market shifts, and use that knowledge to identify huge new market opportunities. Now, Atwater shows you how to use the same powerful Horizon PreferenceTM approach to select your own high-performance investments. Utilizing what is often in plain sight, but overlooked and underestimated, Horizon Preference helps you understand how we narrow our physical, time and relationship horizons to the "local" in bad times, and widen them to the "global" in better times - and then translate that knowledge into better investment decisions. Atwater's Moods and Markets offers powerful new insights into everything from market bubbles to the real challenges of making mergers work... why "farm to table" and "locavore" movements are booming now, and what's likely to happen next... why Americans now want to rent homes even though it's become far more affordable to buy them... why the "Arab Spring" is bullish, and higher education is in deep trouble... which businesses prosper in a downturn, which prosper most in an upturn - and why. This book will be an invaluable resource for every serious investor, trader, and money manager.